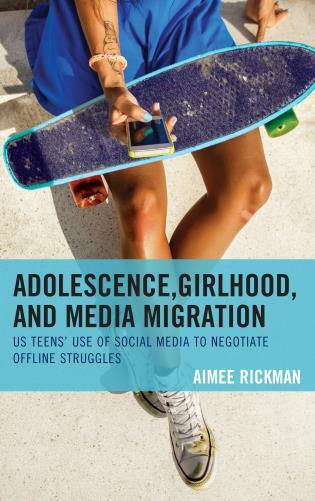 Adolescence, Girlhood, and Media Migration: US Teens' Use of Social Media to Negotiate Offline Struggles considers teens’ social media use as a lens through which to more clearly see American adolescence, girlhood, and marginality in the twenty-first century. Detailing a year-long ethnography following a racially, ethnically, and economically diverse group of female, rural, teenaged adolescents living in the Midwest region of the United States, this book investigates how young women creatively call upon social media in everyday attempts to address, mediate, and negotiate the struggles they face in their offline lives as minors, females, and ethnic and racial minorities. In tracing girls’ appreciation and use of social media to roots anchored well outside of the individual, this book finds American girls’ relationships with social media to be far more culturally nuanced than adults typically imagine. There are material reasons for US teens’ social media use explained by how we do girlhood, adolescence, family, class, race, and technology. And, as this book argues, an unpacking of these areas is essential to understanding adolescent girls’ social media use. Aimee Rickman is assistant professor of child and family sciences at California State University, Fresno and a member of IAMCR. On 8 October 2018 the author told us that Lexington is offering a 30% discount for the next couple months using the code LEX30AUTH18 on the Rowman & Littlefield page in the link above.